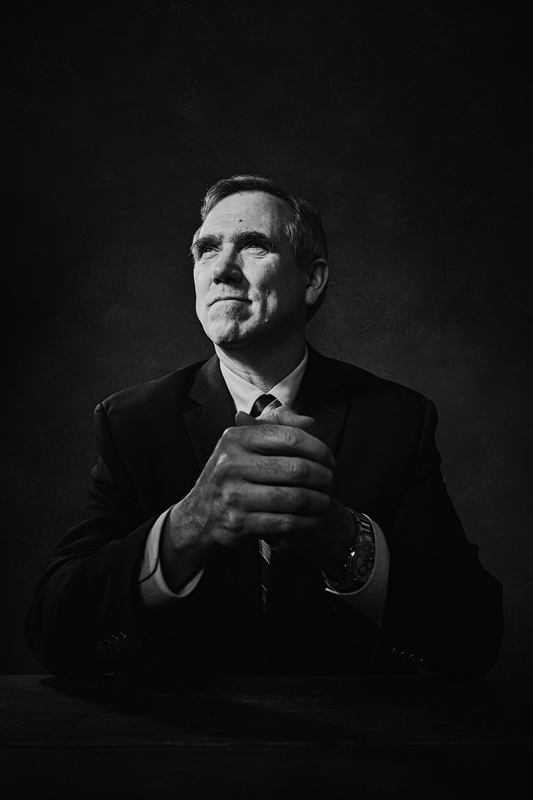 Portland Monthly Magazine asked dramatic portrait photographer Andy Batt to work with the powerful and very kind Oregon Senator Jeff Merkley, and we jumped at the opportunity. The senator only had an hour to give us, so we set up 2 sets to work on. "I wanted to carve Senator Merkley's portrait out of darkness and light. To find a way to photograph his combination of power and caring. The portrait is as much about him surrounded by darkness as it is a beacon of light. It was a deeply satisfying image and I am honored to have been given the opportunity to make it.